Dim Sum at a Dim Sum! With Mid-Autumn Festival coming up, some of us are planning for a hearty family meal. And what better dish than dim sum? While the famous Crystal Jade and Din Tai Fung outlets are certainly choice restaurants, we have scoured and found five “hidden” restaurants that won’t make you break the bank when you feast on these delectable Cantonese dishes! To our beloved Muslim readers: psst, check out the last on the list. We’ve reserved the best for last and we’re definitely not excluding you! For affordable roadside dim sum that’s just as good as fine-dining restaurants, 126 Wen Dao Shi is a clever play on words and numbers (in Cantonese it’s Wan Dou Sek). Started in 1985, it has been faithfully serving delicious dim sum at 126 Sims Avenue to a large and growing crowd of regular customers. It has since added another outlet at Boon Keng under its name. Be sure to come during off-peak hours as seats are hard to get! Click here to find out more about 126 Wen Dou Shi. Humble late night dim sum is the menu of choice at Swee Choon Tim Sum Restaurant. This casual dining place along Jalan Besar is certain to satisfy both your belly and soul. Open from 6pm to 6am, this restaurant has been around for more than 50 years, as long as Singapore! Queues are always long at this well-established place, so book on Chope to secure a space. Book a table at Swee Choon Tim Sum Restaurant with code TASTYBLOG to get 2x Chope-dollars now! 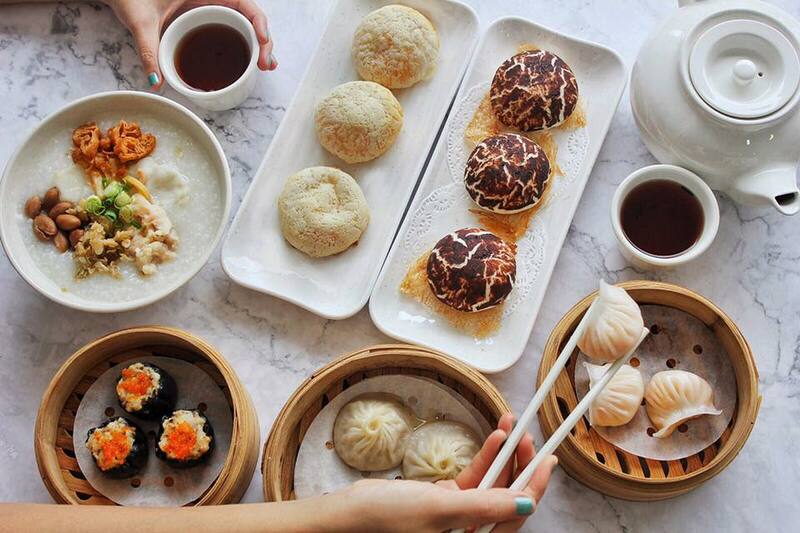 Claiming to have the #1 custard buns in Singapore, Victor’s Kitchen serves exquisite Hong Kong-style dim sum in a friendly Kopitiam setting. Their chief chef came to Singapore 10 years ago,bringing in authentic Hong Kong fare and has since incorporated his award-winning recipes into the menu. Prior to that, he used to work in Victoria Hotel, a five-star hotel in Hong Kong. Hand-made, traditional, Hong Kong-style dim sum! What more could you ask for? This rather new addition to the dim sum scene blows our mind with their dainty treats. Their tagline is to serve their diners with quality dim sum at affordable prices and thus far, they have kept that promise. Click here to find out more about Dim Sum Haus. For our Muslim friends who want to relish in delicious dim sum at a pocket-friendly cost, look no further! The Dim Sum Place is a new addition to the small but growing assortment of Halal-friendly restaurants! Serving Cantonese-style dishes with a local twist, this candidly named restaurant is sure to satisfy your dim sum cravings! Click here to find out more about The Dim Sum Place. Up to 50% off, 1-for-1s, and more – it’s a Foodie’s Paradise!